Start your weekend with Nia dance fitness cardio workout and experience the joy of movement! In Nia we follow the pleasure principle: If it feels good, do it; if it doesn’t, stop. 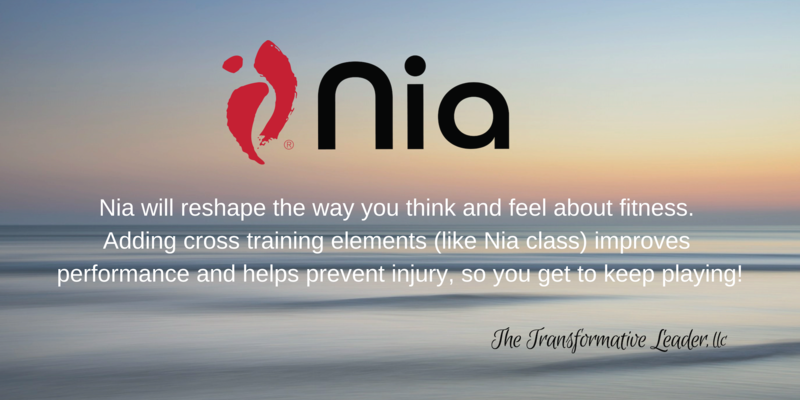 As a result, people who do Nia tend to become regular movers because it’s fun and they like how they feel during and after their workouts! Drawing from nine classic movement forms – three each from the martial arts, the healing arts and the dance arts – Nia can take you far beyond mere physical fitness. By learning to use your body as it was designed to be used and treating your body the way it was meant to be treated, you can fall in love with your body and its ability to self-heal as you gain fitness. The benefits of Nia extend far beyond the dance floor. With regular practice, a great many students abandon long-standing bad habits and become bored with a sedentary lifestyle. They become “movers” and the changes show in their bodies and in their lives. The emphasis shifts from how their bodies look to how their bodies feel, and students develop internal strength, control and power – mental and physical. $10 Drop in or get a class pass. Your first regular weekly class is always FREE! Stop exercising and start moving!